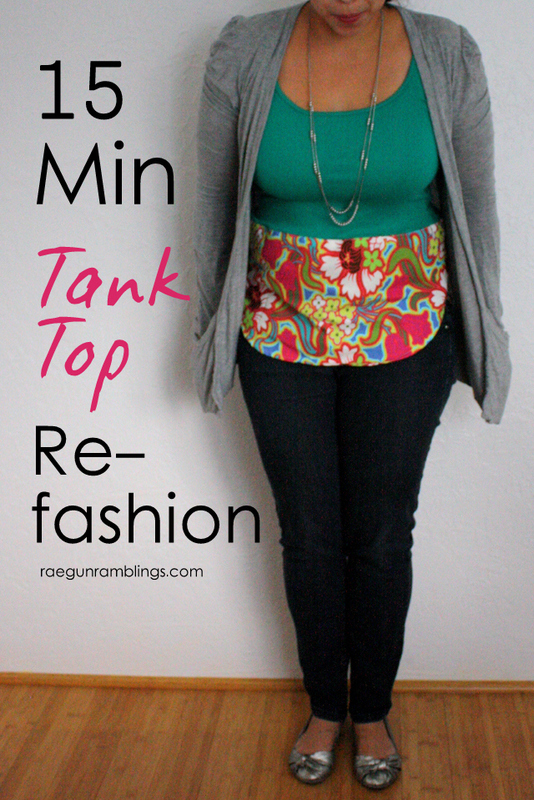 I love the comfiness of tank tops but not necessarily the look so I thought it would be fun to fancy up one. 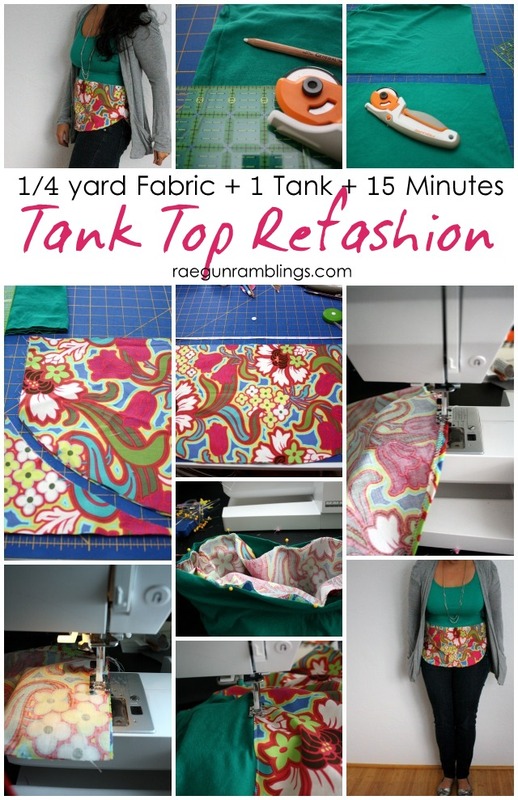 This 15 minute tank refashion is so quick and easy I almost feel like a Sew Our Stash cheater but I’m calling it good. Also did you see that I’m giving away a 100$ gift card to Jo-Anns? We’ve had a steady stream of visitors for the last month so I barely squeaked out something for this month’s Sew Our Stash. But that’s the joy of having a deadline to have something sewn for myself -it forces me to do SOMETHING. Try on your tank and mark how low you want your fabric line to hit. I find it helps to fold my fabric and hold it up to see how low I want that to go and see how it will look. Straighten up the line and cut your tank along your marked line. Cut your fabric to the length that you want it to extend below the knit line plus 1 inch for seam and hem allowance. 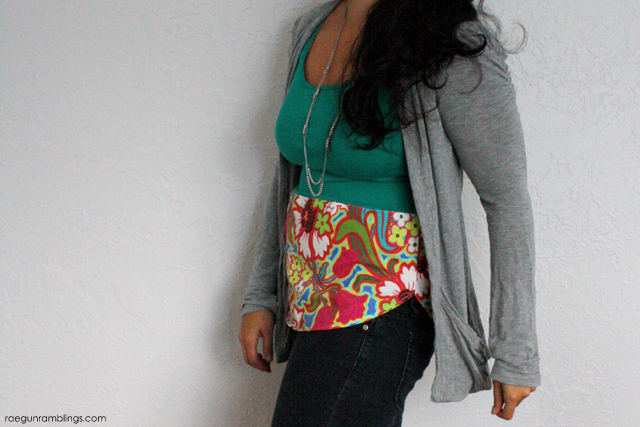 Measure around your hips (or wherever you want your shirt to land) to find out how wide to make at the bottom. I wanted to have generous wearing easy so I cut the bottom edge to be 22 inches (so together it would be 44 which is plenty big enough to go around the widest point of my hips, have room for the seams, and still be a little lose). Measure around your from where the fabric line will hit add 1/2 inch to that number. Fold the front fabric piece in half. At the top edge measure over from the fold and mark the number you just found. Then angle up from the bottom of the side edge up and cut. This will make it so when it is on will fit with as little rippling as possible (if you just kept the fabric the full width of your hips the tank would be stretched quite a bit when you attach the fabric and once on ripple since for most of the part where the fabrics meet aren’t as big as our hips). Repeat for the back piece. You want to do this separately since most people aren’t the same front and back. 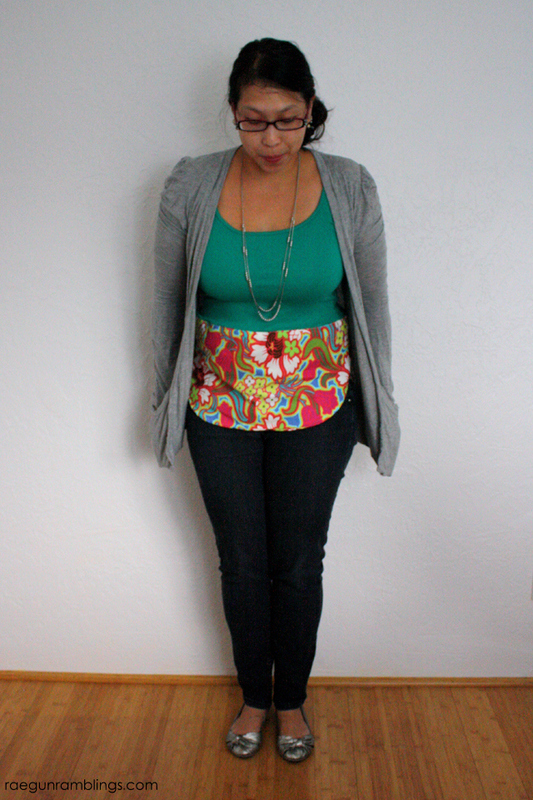 Next sew up the hem by finishing the edge with a serger or overlock stitch. Then fold under and top stitch about 1/4 of an inch from the edge. With right sides together sew up the side seams with a 1/4 inch seam allowance. Finish with an overlock stitch or serger. Finish the edge of the fabric so it does not unravel. Pin the fabric (now a tube) to the tank cut edge, right sides together. And sew. Flip right side out, press the seam to the fabric side of the seam, and top stitch on the fabric. I love how quickly this came together and I can see a lot of potential for different looks with different fabric and tank (or other shirt) combos and by playing around with the hem shape. Have you been sewing for yourself? 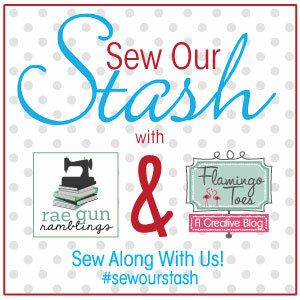 If so I’d love you to join Bev from Flamingo Toes and I by tagging your pics #sewourstash on Instagram and Twitter! I really love this. 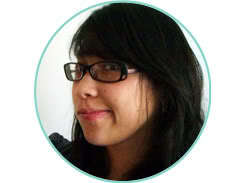 The ribbed knit tanks just don’t look awesome on me but this is really cute! I love the idea! Thanks for the Inspiration. I have so many Tanktops lying around which I only wear under a Sweater in winter. I have to go to my fabric stash now….